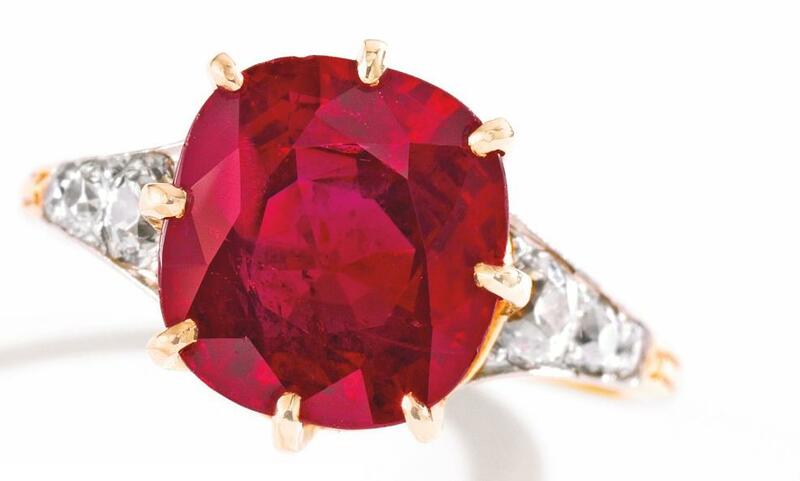 Fine 4.36 carats Natural Ruby estimated upto 600,000 USD! P.S. : The figures mentioned in the post have been corrected. Earlier, I had misread the figure & believed it to be 6,000,000 instead of 600,000. I apologize for the mistake. It was a genuine human mistake, I have corrected it in the post. Also, I would like to clarify that this Ruby is not from one of my collections, but a fine ruby being auctioned soon by Sothebys. I had never posted that this was a ruby being sold by Suranas Jewelove & it was never my intention to portray so, however it seems people have interpreted it so. Why is such an expensive ruby set with such sloppy finish work on the prongs? The ring was made in the early 1900's. It has been worn for almost a century now. Hence the vintage style & condition of the setting, I believe. I believe you have misinterpreted it. I never said this Ruby was on sale BY suranas jewelove or was from one of our collections. I have clarified it in the post. For the estimated value, I had misread the figure & mistaken it for 6,000,000 instead of 600,000. I have corrected that too. Thank you for bringing it to my notice.